Overtone singing, or what you may have heard called throat singing, has held some fascination for me ever since I first heard of it. It’s one of those “holy heck, that’s like magic!” things that we can do with our amazing bodies that seems nearly impossible. If you’ve never heard of throat singing, and you’re thinking “Um, Alice you ALWAYS use your throat when you’re singing,” you are, of course right. But it’s what these singers accomplish with their throats that makes overtone singing so incredible. Throat singing is an ancient art form; in fact it’s often said to be one of the world’s oldest forms of music. It’s a guttural—sometimes almost growling—style of singing or chanting that has a very distinctive sound. But what’s incredible about these overtone singers as that they are able to produce two, three, and in some cases even four (!) distinct pitches at the EXACT same time! If you’ve never heard a throat singer do his thing, you can think of it kind of like how a bagpipe sounds at the start. You know that low droning singsong sound you hear before the music kicks in with a bagpipe? That’s kind of how it sounds when a throat singer is getting started. Different notes sung at the SAME time! But then the magic happens, he (or she, Inuit throat singers tend to be female) starts using his vocal chords, lips, tongue and larynx to chop up that sound into overtones and you can hear THOSE pitches right along with the original low guttural drone. Different notes sung at the exact same moment. It doesn’t even seem like it should even be physically possible. What’s really cool is this crazy unique method of singing developed in vastly different places in the world independently. And each place developed its own unique methods and VERY unique sound. Yet each of them are producing those same amazing (impossible) simultaneous pitches. 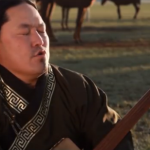 Most often when throat singing is mentioned it is Tuvan throat singing. Tuva is a rural region located to the north and west of Mongolia in Russia. Meanwhile, over in Northern Canada, the Inuit performed their own form of throat singing. In this case, as I mentioned, Inuit singers were primarily female and it was most often used as a form of entertainment and friendly competition. And then in Bantu, in South Africa, the Xhosa people practiced overtone singing as well. In fact they have two different forms. 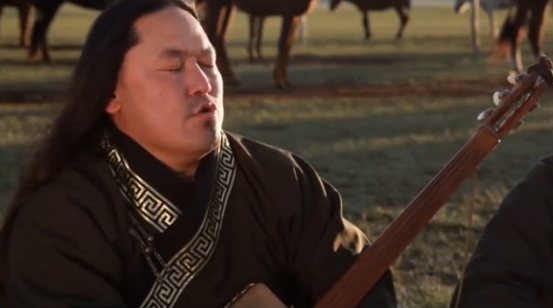 If you’re still with me here you’re likely as fascinated with throat singing as I am. And if that’s the case I have another video for you. Maria Hefele’s control and mastery of overtone singing is nothing short of mind boggling. What she’s able to do with her voice… well, it will just BLOW you away. Next time I’ll share with you why Barbershop quartets should blow your mind too. No, really, they do something amazing too.